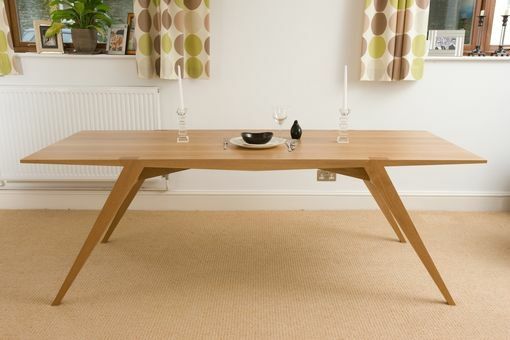 This solid Oak dining table appears at first to be a very simple design. But on closer inspection you will appreciate just how much detail there is. The top of the table has been machined from solid Oak and tapers left and right from the center. 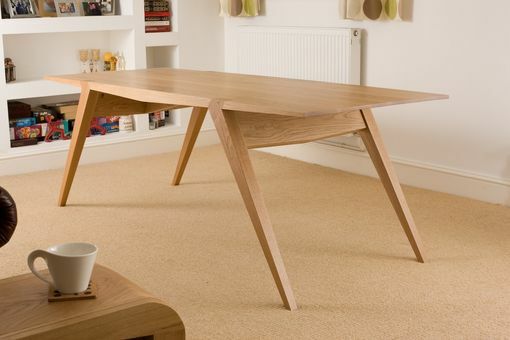 The top of the legs are flush with the table top displaying their wonderful end grain. 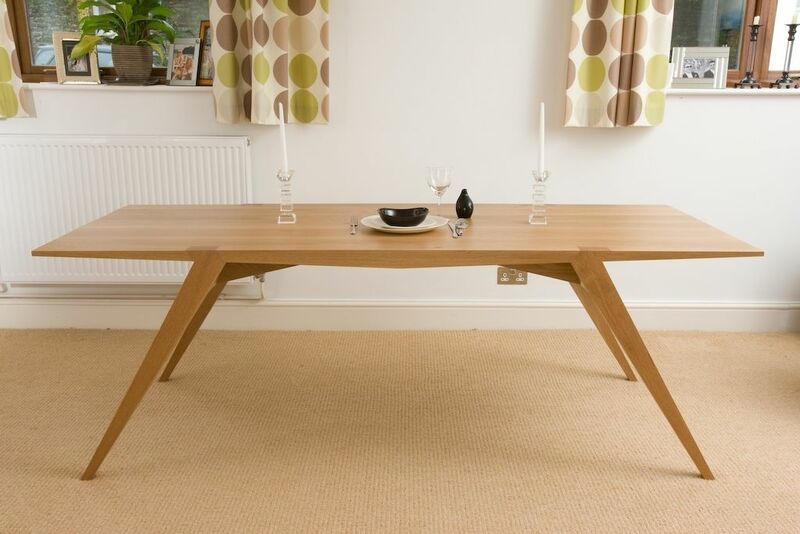 The legs themselves are splayed at such and angle as to appear almost as though they would not hold the table up. The secret is super strong cross rail which ties the whole thing together. 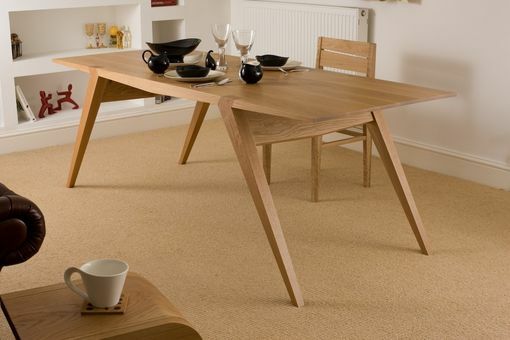 this example is Solid Oak but it can be ordered in almost any timber.